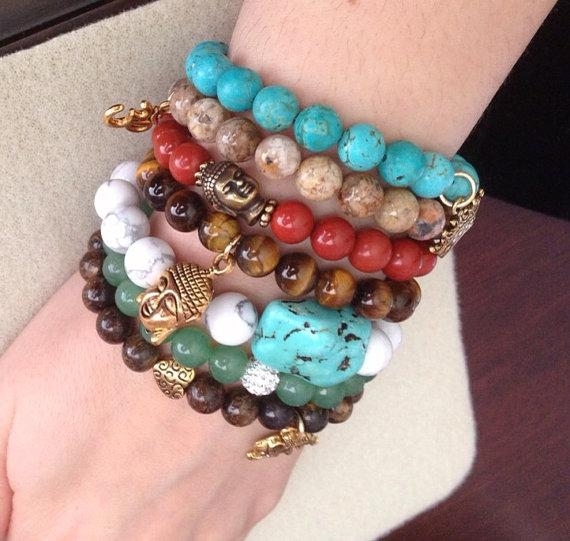 Stacked bracelets are simply an assortment of bracelets and bangles layered together for achieving the desired look. 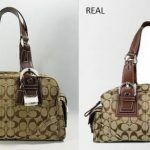 The best part is you can customize the style as per your need. 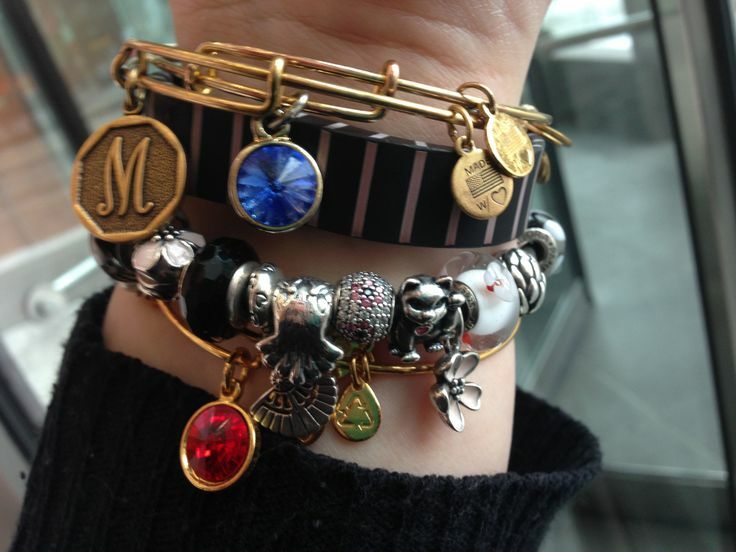 Here are some ideas to mix and match your bracelets. 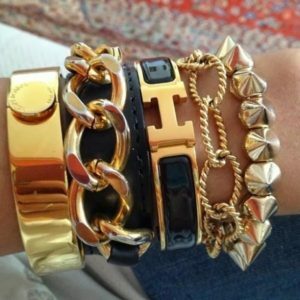 Size: Avoid using bracelets having huge differences in size, as the chunky ones may overpower the small and thinner ones. 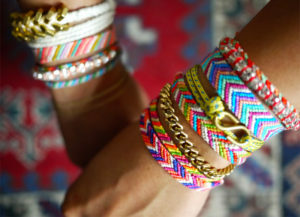 Color: Stacking up 7-8 layers of same colored bracelets may ruin the look, depending on the material. So, be bold, and try multiple shades. 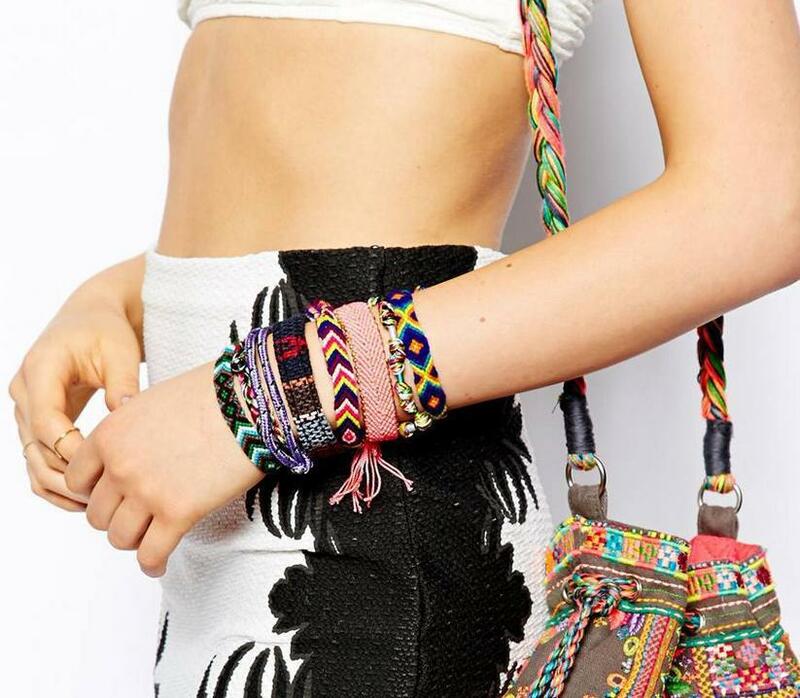 Wear some colorful acrylic or crystal beaded bracelets together for a bohemian look. 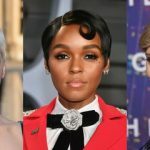 If they have trinkets or tassels that would be an added advantage. 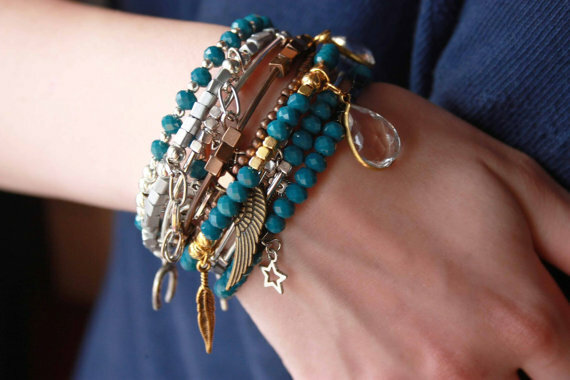 If you are trying to pull-off an ideal look for a sultry day, then pair turquoise beaded bracelets and charm bracelets together for a striking get-up. 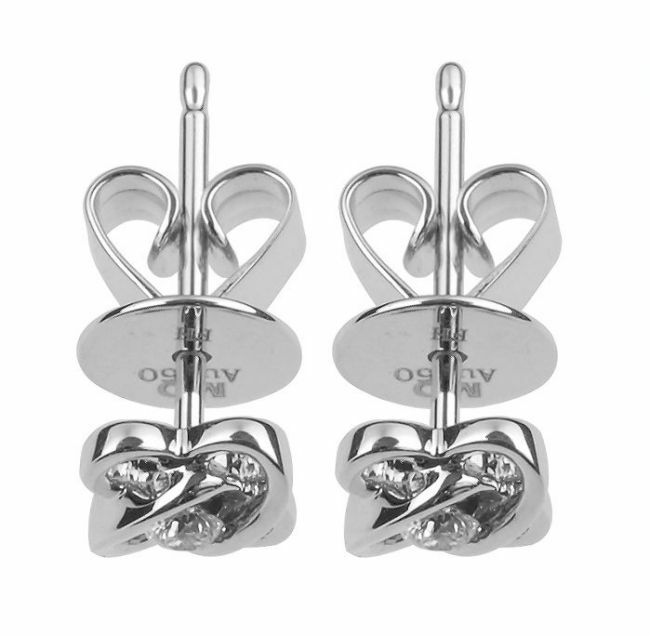 Wearing them with metal or wrap bracelets would lend you a casual yet stylish appearance. 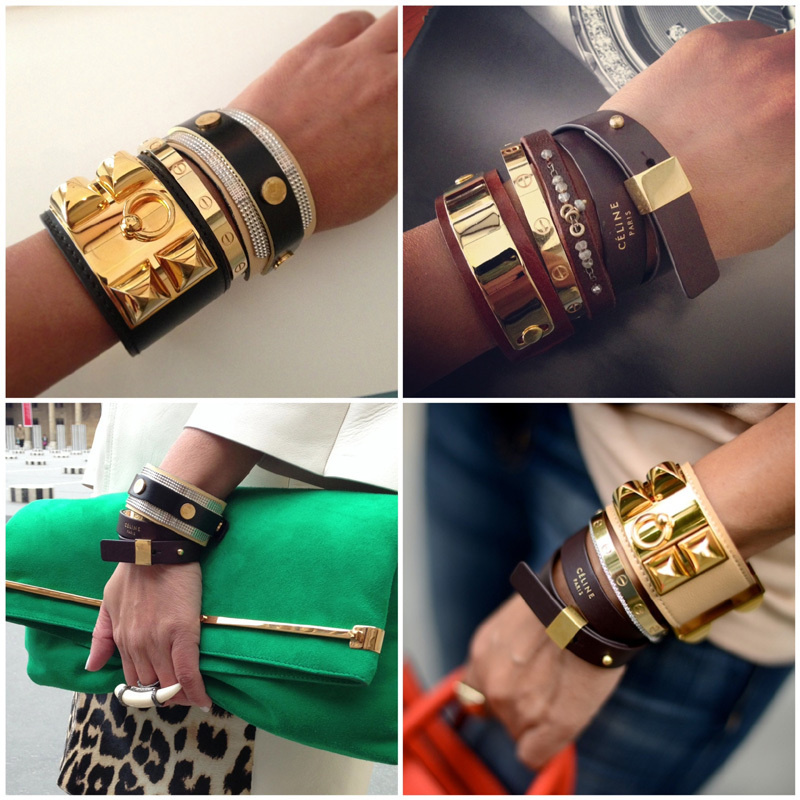 If you are a college-goer, team up 3-4 sleek leather bracelets or cuffs for a simple and sleek look. For an edgy look, slip on chunky metal bracelets with spikes followed by some leather ones (black or brown). As leather has a strong style quotient, you may subdue the effect by choosing the ones with floral designs. 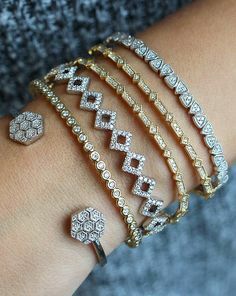 Tennis bracelets or in-line bracelets are made of precious metals like gold or sterling silver and adorned with gemstones like diamond and ruby. 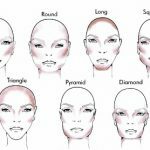 So, you may stack them on your wedding day to look pristine. You can always pair up a watch with you tennis bracelet for a stunning look. Wire charm bracelets are a good option for anyone as they impart a casual yet fashionable look. Wear them with equally interesting bangles for an astounding look. 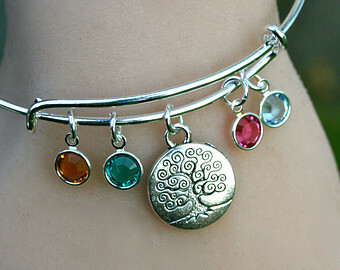 Personalized bracelets designed with birthstones and engraved trinkets are all about elegance. 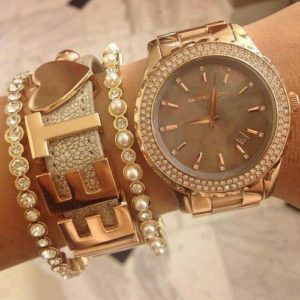 A noticeable statement bracelet is good enough to attract attention on it own. Still, a little addition is always welcome! 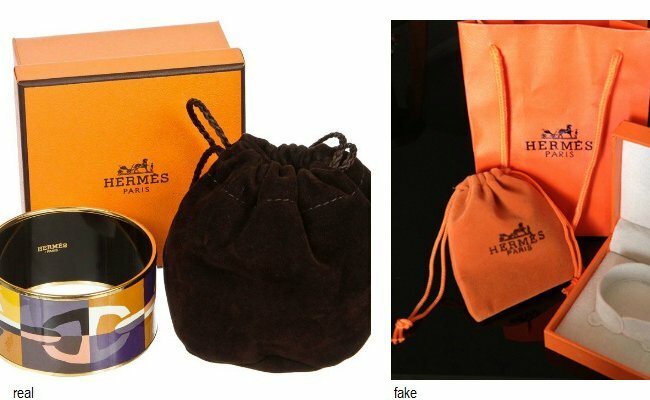 You may enhance the look by including your watch as well. If your sensitive skin does not allow you to wear metallic bracelets, go for fabric and yarn ones, like friendship bracelets. These are beautifully woven to offer a dynamic look, and they do not produce any noise like the others. Balance is the key so don’t go overboard by wearing heavy neckpieces, chunky rings, and dangle earrings along with your stacked bracelets. Heavily layered bracelets are good for one wrist only. It is better to lessen the layers if wearing on both wrists. 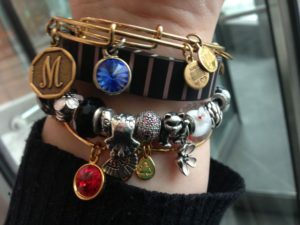 Now, open your jewelry box and make fabulous layers and combinations of bracelets to make people go head over heels.